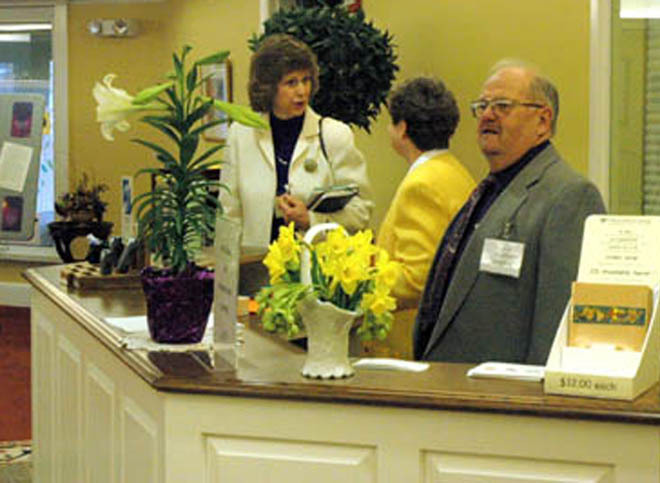 Welcome centers are at heart of the experience in most service-oriented businesses and churches. The idea is a good one: create a focal point that allows newcomers to find the information they need in order to have the best experience possible. But I think we have missed the point on implementation, specially churches. Somehow we have bought into the idea that a counter-service type of approach is the optimum way to welcome someone. It isn't. The problem with most welcome centers is the foundational assumption it creates by the virtue of its design: a counter fortress where staff or volunteers stand behind waiting for those seeking help to engage them. Some are quite elaborate constructions in the middle to atriums and concourses with computers and flat screens. To me that's not a welcome station; it's a help desk. It puts the entire ownership of the process on the new person. In my experience, volunteers who stand behind welcome desks find a way to entertain themselves by carrying on spirited conversations with each other while those in need of help have to "break in" to get their questions answered. Years ago I visited a church with a beautiful state-of-the art welcome center. It was a 360 marvel of modern craftsmanship with steel, granite and glass and had 6 large flat screens around its outer parameter. But it seemed unattended until I walked up and heard voices coming from the middle of the structure. Inside I found two septuagenarians sipping coffee and carry on a conversation that by the sound of it, had started in 1979. I asked where to go and without getting up one of the men pointed to a sign on the opposite wall and said "follow the green line." Behind me was the confusing diagram of a church that look like it had been put together by a committee of unhappy people and different color lines took you different places. In contrast, recently I stayed at an Embassy Suites Hotel. Their check in area was not a long counter as most hotels, but a few small individual stations where workers can easily walk around and engage newcomers. I love this approach because it allows the people behind the desks an easy way to walk towards those who need help and engage them one on one without the physical barrier of the counter in between. The young man who checked me in the hotel saw me coming and walked towards me saying "welcome to our hotel. Let me check you in over here," and led me to his free-standing station. Like a truly welcomed and expected guest, I found that the gracious host had come to greet me at the door instead of my having to walk up to the counter, wait for someone to stop talking or looking at computer screen in order to get help. This check in was a much more personal and welcoming experience. When I asked directions to the second tower elevators, the young man walked from behind the desk and took me within the line of sight of the elevators. I hope more churches and service organizations will rethink their guest welcome strategies. The counter service mindset is not as welcoming as you think. 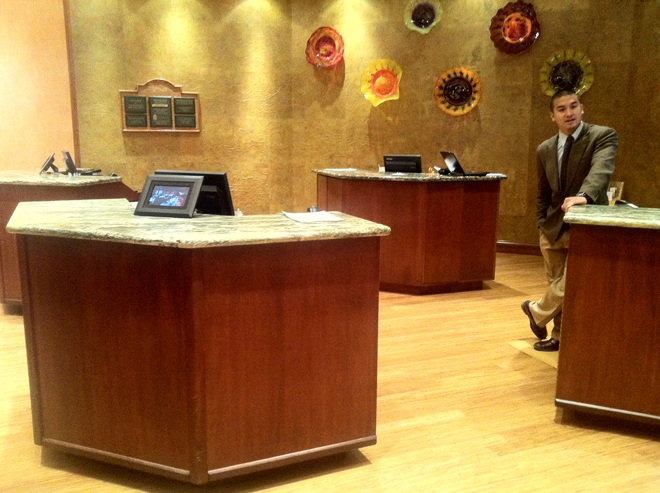 What has been your experience with welcome centers?